Over 80 written statements have been issued for "unsightly" illegal construction projects along the Black Sea coast, Regional Development and Public Works Minister Asen Gagauzov said on Monday. The Directorate for National Construction Control (DNCC) has issued 193 written statements on the removal of illegal construction located on coastal beaches: 94 in the North and 99 in the South, DNCC Director Ivan Simitchiev said in Bourgas. Written statements have been issued on the removal of electric, water and sewerage lines to the sites in question, BTA reports. Some of these sites have septic tanks instead of sewerage, which is inadmissible on beaches, Simitchiev said. Work is starting on the Sustainable and Integrated Urban Development Priority Axis and Educational Infrastructure Rehabilitation of Operational Program "Regional Development", said Gagaouzov, who arrived here on Monday together with his deputies to explain the priorities of the Program. The start of a priority axis on healthcare establishments is forthcoming. The Minister hopes that all OP "Regional Development" priority axes will be started within two months. 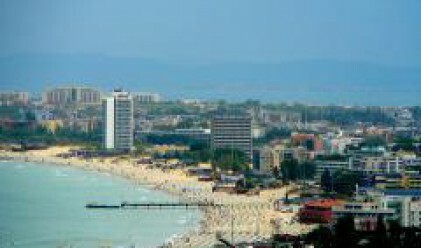 Asked how the beaches for which a concession has not been awarded would be handled, Gagaouzov said that draft amendments to the Concessions Act have been submitted in Parliament. On rumors that he may be dismissed as minister, Gagauzov replied that he has carried his letter of resignation in his pocket ever since his first day in office, and that whatever happens is up to the Prime Minister. He graded his own performance as minister at 5.50 (the maximum grade in the Bulgarian education system is 6.00).